ILI conducts youth and adult-focused education on how tobacco products are priced and marketed to target teens and the impact of tobacco promotion at the point-of-sale. In addition, ILI participates in the Standardized Tobacco Assessment for Retail Settings (STARS) survey to college county-level data on tobacco products and point-of-sale advertising in retail establishments. ILI works and advocates for the proportion of local and/or statewide comprehensive smoke-free air ordinances for worksites. ILI works and advocates for the proportion of school districts with comprehensive tobacco-free campuses. ILI works and advocates for the proportion of comprehensive smoke-free policies in multi-unit housing, including public housing and market rate multi-resident buildings. ILI conducts outreach with healthcare providers, organizations, and employers to increase the utilization of the Indiana Tobacco Quitline throughout the community. ILI works and advocates for tobacco cessation benefits provided by employers and tobacco-free grounds policies. 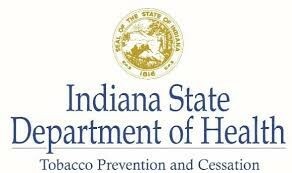 ILI participates in the Smoke Free Indy coalition and conducts ongoing coalition development and recruitment activities. ILI conducts outreach to organizations that work with priority groups and fill coalition gaps and to work on tobacco control activities. ILI also works with Head Start Centers to implement a tobacco-free training curriculum. Thank you to our funder!